Chances are you’ve witnessed a social media fail sometime in the past year. It usually results from a sense of urgency, or a miscommunication that ignores common sense, all for the sake of gaining attention. It’s true: Follow just a bit of poorly-advised posting on social media, and you, too, can create your very own brand fail in a matter of minutes. Many brands are over-concerned with posting frequency and speed, and not concerned enough with tactics that ensure quality and proper context. A single spur-of-the-moment tweet can cause irreparable damage. And even after it’s deleted, the examples below show that content on social media never truly dies — so make sure you have a plan in place that establishes clear boundaries and best practices. As proof, here are seven of the worst social media fails you might ever come across. Humor is a wonderful thing, especially on social media. A funny meme, GIF image, or video can reap a wealth of positive interactions. It’s common practice for celebrities to produce goodwill online by sharing one-on-one experiences with fans — meet-and-greets, and surprise appearances, for example, all have the potential to go viral. Unfortunately, the viral effect doesn’t always have the end-result you might wish for. It doesn’t get much more uncomfortable than Avril Lavigne’s now infamous meet-and-greet photo session. Fans paid almost $400 for a chance to meet their idol before finding out there were some serious restrictions on their experience: no touching allowed. That meant no hugging, wrapping arms around each other, or anything else that tends to make celebrity meet-and-greet photos warm and cozy. The pictures, as they say, are worth a thousand awkward words. Good intentions fell flat for the Rhode Island Commerce Corporation in 2016, when it made one grave error in a $5 million promotional video — and used footage not of the great state itself, but instead, of Iceland. The mistake went viral and gained far more attention than an Iceland-free version of the promotion would have, but it wasn’t exactly the type of publicity we imagine the bureau of tourism was hoping for. Thanks to the social media skills of Rhode Island Governor Gina Raimondo, you can enjoy your very own private viewing of this social media fail. In 2015, Amazon created #PrimeDay as its own corporate version of a Cyber Monday. Unfortunately, at that point, many of the discounts and offerings didn’t quite live up to consumer expectations — and the hashtag went viral for all the wrong reasons. 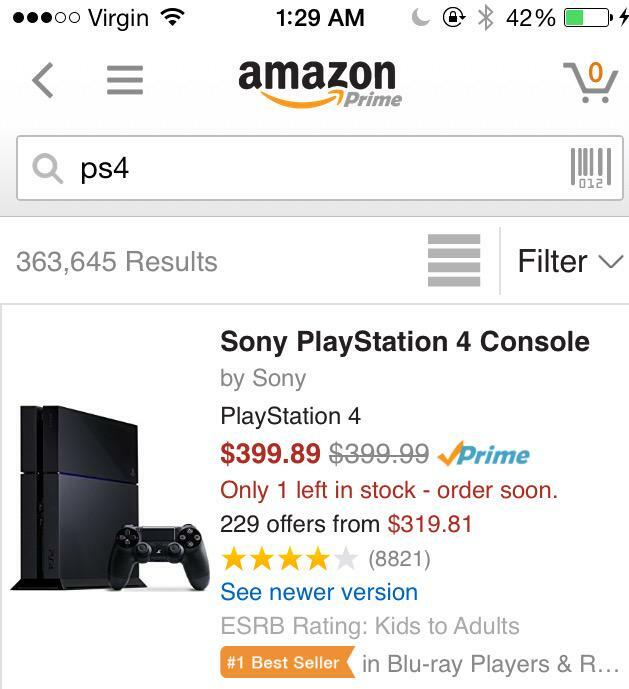 One kicker came when Amazon offered a whopping $0.10 discount on the Sony PlayStation 4 Console. It didn’t take long for #PrimeDayFail to start trending on Twitter. Any time a brand winds up with a trending hashtag that includes the word “gate” in it, you know there’s trouble. In 2014, Apple released the iPhone 6 with great fanfare, with one of the most aggressively highlighted features being that the phone wouldn’t bend under pressure in, say, your back pocket. In a video that now has more than 69 million views, Unbox Therapy squashed Apple’s claims by demonstrating how easy it was to bend the iPhone 6. Once the damage was done there was no going back. A war of words promptly took place between avid Apple fans and detractors, garnering even more attention on social media. Robots aren’t always smarter. 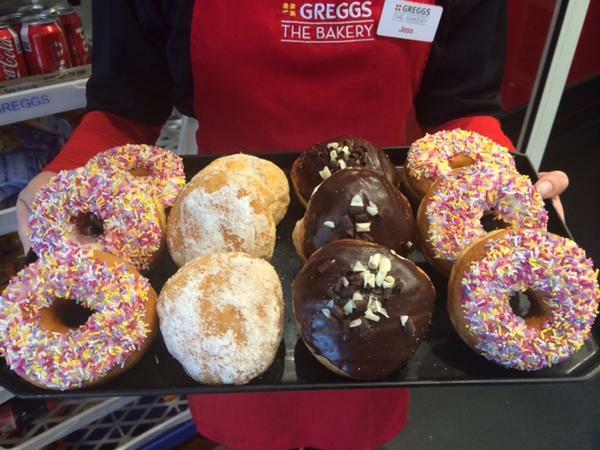 In 2014, a Google bot mistakenly attributed an offensive slogan to U.K.-based bakery, Greggs. Hilarity — to some, at least, ensued when Greggs’ Digital Brand Manager, Neil Knowles, turned a potential brand disaster into a monumental win. Thanks to the clever back-and-forth between Knowles and the Google team, and the massive publicity garnered by the exchange, Google’s original error wound up being one of the best things to ever happen to Greggs. If you’re going to create a huge promotion that displays a giant map of Russia, it’s generally a good idea to make sure that map is accurate. Or, better yet: When in doubt, don’t show a map. 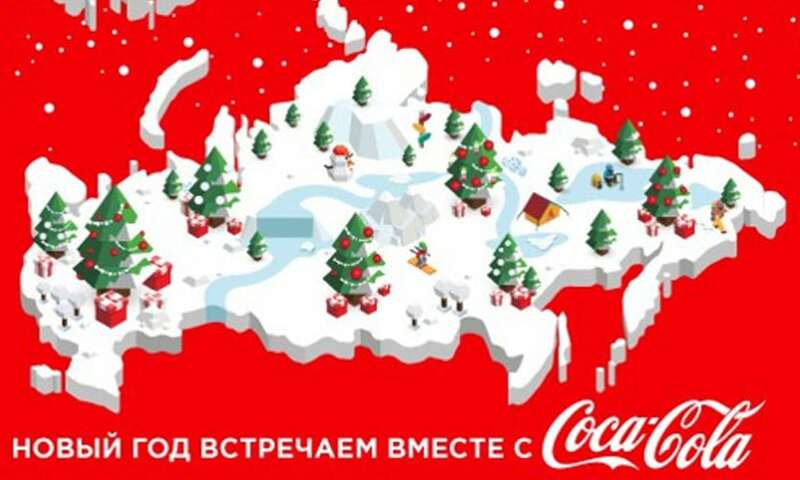 Coca-Cola received massive backlash from Russian citizens when it posted a promotional branded image made to look like a map of Russia — which left out Crimea. In response, many consumers took to Twitter to post images of themselved pouring Coke into their toilets, leaving a trending impression. Then, in response to the backlash, Coca-Cola published an updated map that included Crimea — which was promptly bombarded by outcries from Ukrainian citizens, due to tensions resulting from Russia’s annexation of Crimea in 2014. Lesson learned: Don’t publish original content that’s inaccurate, and has the potential to be highly (and globally) controversial. Sometimes, all it takes to avoid a social media fail is a simple Google search. 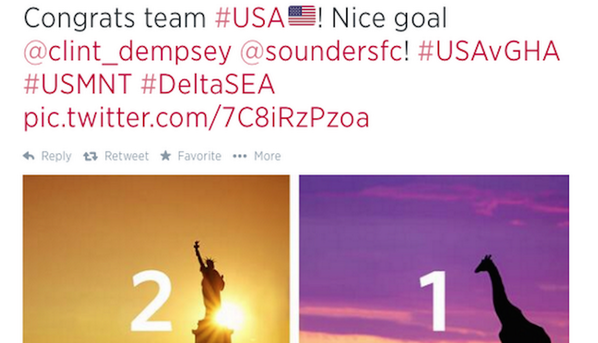 During the 2014 World Cup game between the USA and Ghana, Delta sent out a congratulatory tweet to the U.S. soccer team. The tweet included an image of the Statue of Liberty with a “2” representing the U.S. score, and a giraffe with a “1” that was meant to represent team Ghana’s score. There was one tall problem: Ghana doesn’t have giraffes. Of course, Twitter users jumped all over that one. Just remember: It’s always best to take extra time to conduct some easy research, and avoid social media gaffes — no pun intended — like this one. You might have noticed a pattern in some of the “fail” examples. Twitter is not to be trifled with. Once something goes viral it lives on forever. The best way to avoid a social media brand fail is to establish a meticulous social media management approach. This allows you to control the types of content you post and the messaging your brand communicates with. Regardless of how small your audience is or how innocent something might seem, there’s always a reason to quality-check before posting. Click here to download our free guide to digital marketing fundamentals. Despite our simplification of the term ‘strategy’, there’s no doubt it can be difficult to get started actually building one. Let’s see what a digital marketing campaign looks like, and then, we’ll jump into those seven building blocks to help you create an effective digital marketing strategy to set up your business for online success. It’s important to note that even if a campaign runs over the course of a couple of years, it doesn’t make it a strategy — it’s still a tactic that sits alongside other campaigns to form your strategy. 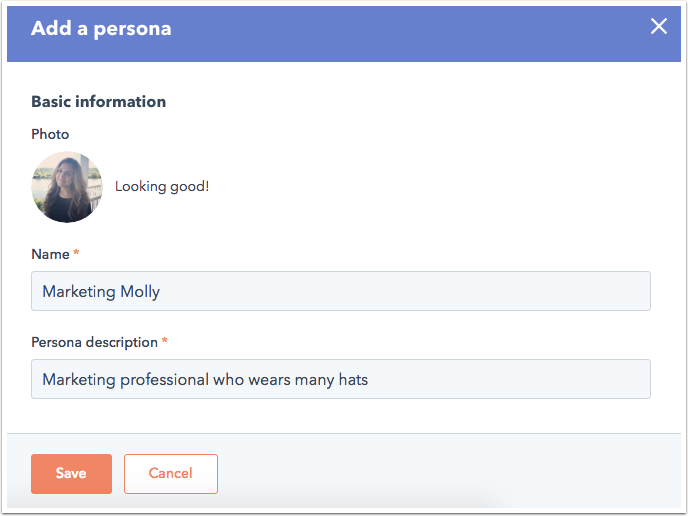 1) Build your buyer personas. 2) Identify your goals & the digital marketing tools you’ll need. 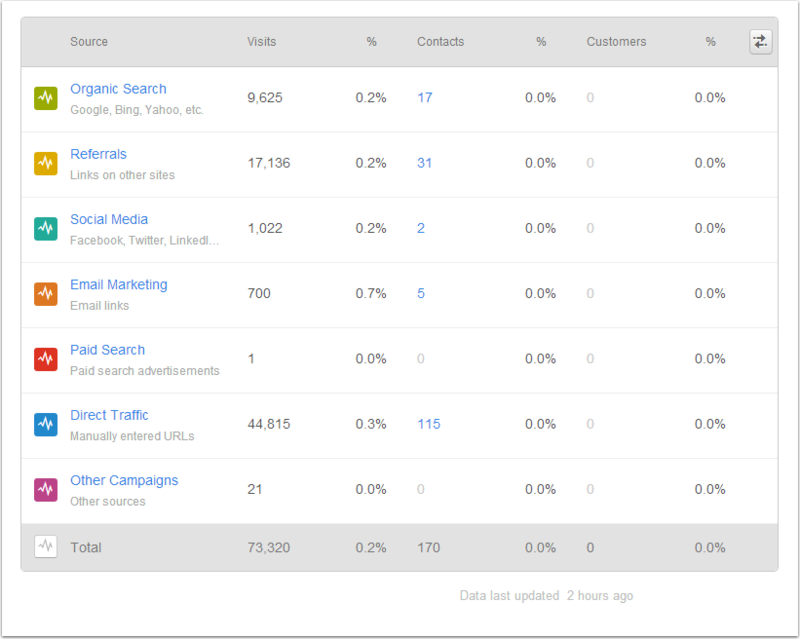 3) Evaluate your existing digital marketing channels and assets. 4) Audit and plan your owned media. 5) Audit and plan your earned media. 6) Audit and plan your paid media. 7) Bring it all together. If you’re eager to learn more about this realm, and how you can build a truly effective strategy to help grow your business, check out our simple guide to digital marketing strategy. This means that if you buy a Website Package before 15 December 2016 we will do Google AdWords setup for your business and load R600 onetime credit for advertising. *Offer ends 15 December 2016. Parallax Studios is happy to announce that for the next 4 Days all Services And Products are 15% OFF. This means that on all Website Packages, Online Stores, SEO Management and Setup, Google AdWords Packages you can get 15% off for next 4 Days. For Website Projects this applies if deposit is paid before the 1st of October. *Offer ends 01 October 2016. In the world of online marketing, misinformation abounds–and it gets compounded exponentially by an incredibly dynamic and rapidly evolving world. Most of the things you think you know (but don’t) about search-engine optimization, or SEO, may have been true a few years ago but have changed; one of the following was always a myth. Not anymore; in fact, metatags are no longer even indexed by Google and Bing. But don’t ignore them altogether: Your metatags form the text that is displayed along with your link in the search results–and a more compelling description will compel more users to click on your listing instead of on others. Here’s example of ours; the metatag is everything below the URL. False. In all the recent updates to Google’s algorithm, the search giant has made it a core priority to have quality trump quantity. Gone are the days of having thousands of superlow-quality links driving up rankings; in fact, creating those links can look spammy and get your site penalized. Focus on obtaining links from sites that are relevant to your products, services, or industry–and on having those links be surrounded by relevant text. A blog review about your “blue widget” that links to your site is far more valuable than a rogue link for “blue widget” stuck in the footer or sidebar of some site–even a highly ranked one. Google’s infamous PageRank (named after Google co-founder and now-CEO Larry Page, mind you) is a 1-to-10 ranking of the overall authority of every website; the bigger the number, the higher the rank. In years past, this seemingly all-powerful number dominated the attention of SEO experts. But today, Google’s algorithm has evolved well beyond any single indicator. The PageRank still exists, and if all things are equal, a higher PageRank trumps a lower one–but factors such as relevance and context matter, too. As with inbound links: If you run a dental practice in Los Angeles, it’s better to have a link from a site that reviews doctors and dentists in L.A., even if it has a PageRank of 4, than to have a paid link with no context in a huge site with a higher PageRank of 7. In years past, Google seemed to put a disproportionate amount of emphasis on keywords in the domain name (what you may think of as the URL). For example, vinylhousesiding.com would almost certainly be ranked first in a search for vinyl house siding. Not anymore, says Google. If vinylhousesiding.com is in fact the more relevant, authoritative site on the topic, it will probably still rank first–but not because of its domain name alone. In 2001, yes, this was the case–indeed, this was the first service that my company, Wpromote, ever provided. But in 2012? Not at all. At this point, if there is any connection from any site to yours, your site will be quickly discovered by Google. Note that being indexed is a far cry from achieving high rankings–but that initial step of submission is no longer needed or helpful. False, false, false. Although there are still some SEO experts out there who go about their business trying to “trick Google,” this is absolutely not the way to provide good, lasting SEO. Good SEO is about creating a relevant, informative website, with unique content and great user experience, and encouraging the sharing and distribution of great content to drive organic publicity and links back to your site. In the end, this is exactly what Google explicitly wants to reward with high rankings–so it is anything but “tricking” the search engines. I’m planning to dive into other online marketing topics in the future, to find the biggest myths–so if you’ve got suggestions, please weigh in below. As businesses adopt inbound marketing and generate more and more leads, the need for an effective lead nurturing strategy becomes clear very quickly. After all, 50% of leads aren’t ready to buy at the time of first conversion, so lead nurturing — especially through email — is the smartest way for marketers like us to reach them. Why is email is the most powerful channel for lead nurturing? Because it’s a one-on-one interaction, and it can be highly personalized based on where a lead is in the buyer’s journey. In terms of engagement, research shows that lead nurturing emails beat out individual email blasts by far. The fact that screen sizes have gotten smaller plays a key role in today’s visual content revolution. Since less information is in your field of vision on a phone (and since only a handful would stay long enough to read lengthy writeups), content needs to be presented in bite-sized but accessible ways. And you know what they say: a picture paints a thousand words. We are already past the tipping point — the number of mobile users has surpassed the number of desktop users, with more than 60% of the traffic coming from mobile. Among social media users, 80% access their accounts via a mobile device. Here’s another startling fact: 50% of small businesses need help with marketing on social media. They don’t realize the difference a user experiences while accessing social media from a desktop computer and doing the same from a mobile device. Posting directly from a mobile device — which apps like Canva’s recently launched iPhone app enable you to do — makes it easier to simulate how the material would look like upon social media publication. To help guide you on your mobile strategizing, we have scoured through the deepest ends of the internet to put together key tactics which will help you create engaging content for your brand on mobile. Ready? That is why it is important to approach each one of them differently and to focus only on the platforms that have the highest return for your brand. On Facebook mobile all the content is presented in a single column. This means you only get a fleeting chance to impress people. If your content is just like everyone else’s, your potential customers will scroll through; but if your content is outstanding enough, you will get a higher engagement rate. Your visual content should be engaging enough to merit the user’s attention. Not all visual content are created equally, though. Facebook’s newsfeed format treats image posts and website link posts differently. Even though Facebook pulls open graph images for website links, uploaded image posts get a slightly larger space on the newsfeed as compared to link posts. So if you want the images to take the center stage, and also want readers to click on links, you could do exactly what JustB – add a link in the description over images. 83% of Twitter users access the micro-blogging website through their smartphones. In the last few years, images have become an integral part with the social media platform by introducing in-app gifs and rich cards for website links. Every website link on Twitter is now displayed much like Facebook’s, with the hero image as the main image on link post. Not surprisingly, Twitter started pushing this feature on their mobile app first and then it made its way to the main desktop website. Also, Twitter photos are not supposed to be square; they need to be rectangular in order to fit in the feed, read forward for the exact dimensions you should be using. Instagram used to be all about filters and square images, but the image sharing social media app recently announced a big change — portrait and landscape images are now allowed on the app. While many fashion brands like Zara are taking advantage of this new change, most of the other brands are sticking to the square image format. Because square images take the most space on Instagram News feed, while other differently-oriented images will always have a bit of white space on the sides. While brands should pay attention to every image that they post, they should also make sure the account’s feed overall looks good as well. Posted images shouldn’t look out of place — they should blend in together. Whether it’s Facebook or Twitter, the header image is the first image people see, and it’s the best opportunity to give followers a great impression. Your brand’s header should give your followers the message you are trying to convey. For instance, Red Bull —which always claims that their drinks give people ‘wings’ — makes sure that their Facebook feed is filled with adventurous photos and videos. Hence this adrenaline-filled cover photo makes complete sense for them. Disney Pixar, on the other hand, uses cover photos to let their fans stay updated about all the new releases — which in this case is the highly anticipated Finding Dory. Use your phone’s native camera. With the right light and angle, you can capture a high-quality photo with just an 8-megapixel camera. To make the whole process easier, you can take pictures through Canva’s iPhone app and start editing it right away. And the best thing you can do with a native camera? Take a selfie. Selfie social media campaigns have proved to be successful for many brands because it’s relatable and authentic (or at least authentic-looking). There is no reason why your brand should stay behind. When Samsung launched their flagship phone, S5, they launched a #UnderwaterSelfie challenge where they dared followers to post selfies from underwater. UNICEF decided to use selfies for the greater good where they asked celebrities to post morning pictures with the hashtag #Wakeupcall to bring the global attention to the Syrian crisis. If you’re using this technique, make sure to use your camera-dependent platforms. Selfies and social channels like Instagram, Snapchat, and Vine are particularly popular to younger users — so this might only be effective if your brand caters to this demographic. Did you know the ideal image dimensions for a typical photo post on Facebook is different than images upload for link posts? While the photo posts on Facebook can be square or other ratios, the images used for website link posts need to be an exact dimension or else they won’t take up the whole news feed space, and you will get something like this. Instead of getting stuck at the last place fidgeting with dimensions, it’s much better to just start right. An ideal Facebook image for website should be 948x788px. And take note: a Facebook header image doesn’t have the same dimensions as a Twitter header image. Canva has pre-made layouts for every social media platform, so you don’t just get the right dimensions, you also get thousands of templates which you can customize according to your brand. Canva’s iPhone app makes it possible to do all this through your phone. Most social marketers fear that if they don’t post enough, their followers might forget their brand even exists. That’s why consistency combined with the right schedule is the key to everything. Yes, if you post too less, your followers might get enamored by other brands; but if you bombard your followers with posts, they’ll get annoyed. It’s important to find the balance between these two. The amount you post will depend on the social media platform you are posting to. While posting 10-15 times on Twitter is considered normal, posting that many updates on Facebook or Instagram is just downright spam-y. Use analytics to find out which type of posts are topping your charts and at what time of the day they are doing the best, and then tweak your schedule accordingly. Most people like to check their social media on their phone when they are commuting to work or when they are free in the evening, so that could be a great window to get the maximum attention. With a mobile phone you can post live updates on-the-go. Brands now take part in live tweeting or streaming on Facebook to let their followers know about upcoming events or ongoing ones to keep the conversation going. There is a thrill in being live that can’t just be replicated with scheduled social media posts. Live updates are one of the main reasons why Snapchat and Periscope got so popular, so quickly. And you know what they say: if it isn’t live-tweeted, snapchat-ed or Instagram-ed about, it might as well have never happened. That’s why, sharing visual content is important — with the right hashtag, of course. But keep in mind: the quality of your post shouldn’t suffer just because you’re on mobile and you’re doing it quickly. Each picture you post should tell a story about your brand’s identity and uniqueness. Well, we have some good news: Canva’s iOS app has the tools you need to create awesome visual content wherever you are. Aside from the live camera feature, it has collection of professionally designed templates, customizable filters, and a library of high quality images. And aside from the 14 pre-set filters, you can play around with all the settings to create your own customized filter. You can also save the filter codes for faster editing. To help you keep your posts on-brand at all times, here is a complete guide on how to use filters on Canva. We warned about cross-promoting and marketing fatigue in the first item and now we dole out advice about not creating a mobile-only strategy. That’s because in the first item, we talked about for-regular posting content; in this item we’re going to discuss advertising. You can’t rely on just the mobile aspect of the digital marketing spectrum because you can never predict how people will engage with your brand. Internet users can be on their cellphone and then their desktop at different times of the day, in different situations. But there are a whole lot of cool things you can do in Gmail that not a lot of people know about. 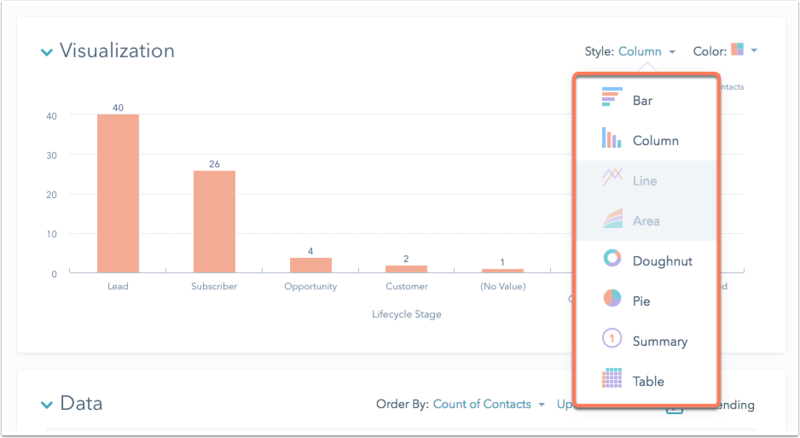 For example, did you know that you can automatically categorize some of your incoming emails so they’re labeled, archived, deleted, or forwarded — without ever having to see them in your inbox? Or that you can save and send canned emails so you’re not typing out the same response to different folks over and over and over again? It’s no secret that internet users are no strangers to seeking out the information they need online — in fact, Google now processes over 40,000 search queries every second. As a reaction to some of these disruptive online ads, internet users have started installing ad blocking extensions by the millions. In case you’re wondering: Ad blockers scan websites for advertising code to prevent them from loading on a browser. To help marketers get a handle on the state of ad blocking today, HubSpot Research dove deep into the issue to create this report. Below, we’ve outlined some of they most noteworthy statistics and takeaways from our research to get you up to speed quickly. 1) Adblock Plus, the world’s most popular ad blocking extension, has been downloaded over 500 million times. Many research and news sites have different numbers, but it’s hard to ignore the hockey stick growth in adoption here. 2) Ad blocking is blamed for costing the advertising industry $22 Billion in 2015. Why is ad blocking a big deal? When ads aren’t displayed, content sites that host ads and the advertiser lose out on potential revenue. And the losses have been enormous. 3) As for potential revenue losses in the future, Ovum predicts that $35 billion in ad revenue will lost by 2020 because of ad blocking. 4) 64% say ads today are annoying or intrusive. 5) Pop-up ads, autoplaying video ads, and online video ads are the most disliked online ad types. 6) 70% of respondents say they would have a lower opinion of a company that uses pop-up advertisement. 7) 34% of people say usually click online ads by accident. 8) Adoption of mobile ad blocking is growing even faster (90% YOY) than desktop-based ad blocking adoption. A study fromPriori Data suggests 419 million people (a fifth of the world’s internet users) have some type of mobile ad blocker installed. 9) 83% of online browsers in the U.S., U.K., Germany, and France say they’d like to block mobile ads. 10) 73% of people stated that ads that cover the entire screen on a phone are the most annoying, followed by ads that track browsing (65%). 11) When asked about the best way to support websites (to cover costs), the majority (68%) of respondents say they don’t mind seeing ads — as long as their not annoying.